DAVID LE/Staff photo. 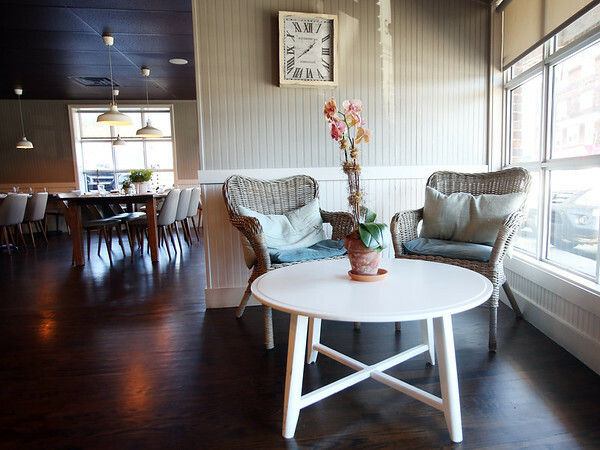 A welcoming two-chair waiting area for customers who have ordered take-out sit just inside the door to the renovated Soall Bistro in Marblehead. 10/8/15.